Its an amazing but true fact that some people are sitting on a lottery fortune without even realising it. Millions of pounds of lottery money are left unclaimed each year before the claim date runs. Once the claim date expires this money cannot be claimed and the lottery winner will become a lottery loser. Unclaimed lottery winnings are more common than people think. In the four months between March and July in 2006 a staggering £5,313,852.50 worth of lottery prize money had gone unclaimed. This usually occurs through lost tickets or people simply not checking their lottery tickets. Lottery winners only have six months to claim their prizes and once that date has expired the money will then go to good causes. 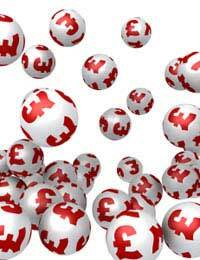 One amazing lottery fact is that around £2 million in lottery prizes are unclaimed every single week. There are a number of people who remember to place their tickets but forget to check and claim their winnings. In just one week in 2008 the amount of unclaimed lottery prizes that were given to good causes totalled £2,411,524. This is a life changing amount of money and the chances of winning again are slim to none. An amazing £1,666,667 was won by two people on the same date in 2006. This wasn’t a shared ticket; this was a case of two people winning exactly the same amount on the same day. Unfortunately neither of the winners, one from Glasgow and one from Warwickshire claimed their fortunes. The National Lottery organisers do try to remind the winners to come forward once 25 days have passed since the winning numbers were announced. It is incredible to think that some people will actually buy a lottery ticket, win millions but for some reason not claim the money. In 2008 a Devon ticket holder lost out on a £6.9 million prize. The winner had the lucky numbers in the lottery EuroMillions draw in 2007. He or she never claimed the prize and were probably unaware they held a ticket worth millions for six months. Some unlucky person was a multi-millionaire for six months back in 2005 but they were unaware of this fact. The largest unclaimed lottery ticket came to £9.4 million in 2005. The ticket was purchased in Doncaster and a town crier was unsuccessfully used to flush out the winner. Once the 180 day expiry had been reached the unlucky ticket holder could no longer claim and he or she became £9 million poorer. If you were on holiday in New York in 2007, bought a lottery ticket and forgot to check the numbers you might start kicking yourself. A massive $31 million Mega Millions lottery prize went unclaimed. This truly is a life changing sum of money and the chances of winning the jackpot in this lottery draw are 1 in 175,711,536. If the winner was that lucky it is surprising they were unlucky enough not to claim. It’s a horrible thought that a million pound winning ticket is sitting hidden in an old coat pocket or down the back of chair. But lost tickets are the main reason people do not claim their prize money. In many cases people use lucky dip draws and do not even know the numbers that were on the lucky lottery tickets. Not knowing the winning numbers could be a blessing in disguise. The thought of losing a million pound winning ticket would no doubt be an unbearable experience. If you do lose your winning lottery ticket then you basically cannot claim any prizes. Camelot or retailers will not be responsible for any lost, stolen or mutilated tickets. Even if winning tickets are found or have been stolen by another person you still will not be able to claim unless you can retrieve them. The best insurance is to write your name and address on the tickets. There may be certain exceptions for ticket holders who can prove the winning tickets were stolen but this could be a very long process. Unclaimed lottery prizes are very common and millions are lost each year. Good causes around Britain become the winners when lottery millions do go unclaimed. This may not bring any comfort to those who have lost the millions unless they are the type of people who always look on the bright side of life.